If my chandelier is labeled for 5-40 watt bulbs can I use 60 watt bulbs in it? If the manufacturer has labeled the chandelier at 40 watts, then that is the maximum wattage to use. Using a higher wattage will void the warranty and may cause a fire. When installing my chandelier, do I need extra support at the junction box? 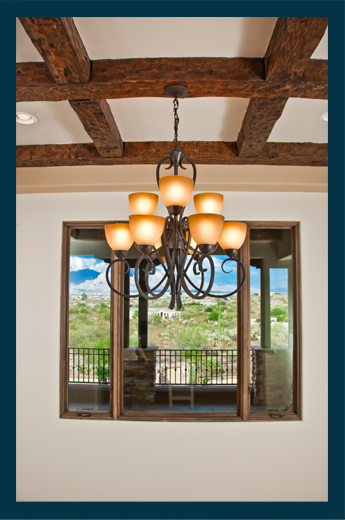 A chandelier weighing 50 pounds or more cannot be safely hung by only the junction box. It should also be attached to a joist or beam. Another option is a reinforced junction box. Most homes already have them in place in the dining room and where ceiling fans are installed. What do I do if I need more chain? In some cases we have listed the chain as an accessory item on the chandelier page. If you want to order any items not visible on our website please call our customer service department to order.